Hi and welcome to the first day of the My Creative Time Blog Hop!! If you came from Emma's Blog, you are in the right place, if you happened upon this blog post and would like to join us for this super fun blog hop as we showcase the newest My Creative Time release, hop on back to the My Creative Time Blog to get started. Today I have a lovely little Christmas card to share with you that uses the new Vintage Stitched Label dies and the Label font stamp set. 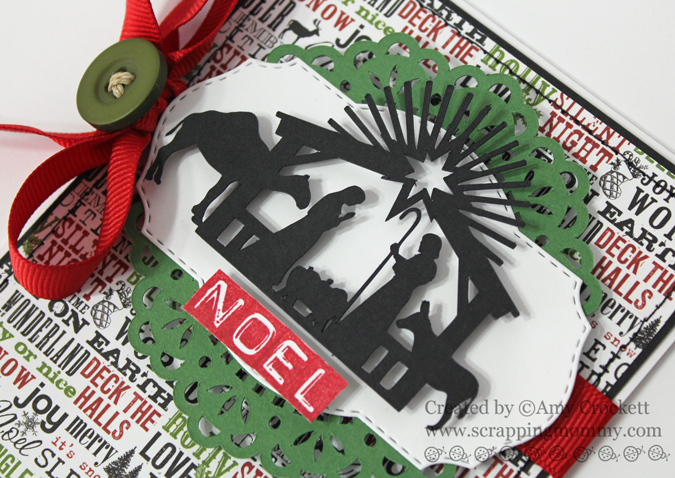 I used my Silhouette Cameo to cut the doilie and the nativity images. The patterned paper is from the MME 6x6 Christmas paper pad. Isn't this Label Font the funnest?? 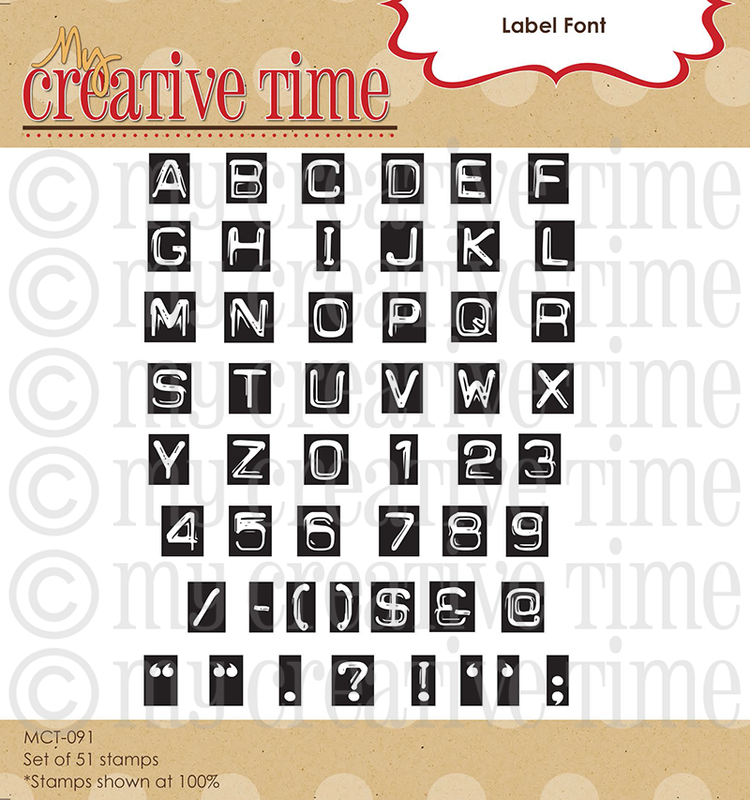 I love how it looks like a 3D label and you can use it to make any word you want with any color of ink.....so COOL!! to finish off my card, I stitched around the edge in black thread and then tied a red ribbon around it and added a green button to the bow. As Emma stated in her video on Wednesday, she is offering a free CUTE stamp set "Thank You Hugs" to everyone who places their order by Sunday @ midnight! That will be the deadline to receive this FREE stamp set! (after that, I will offer it for sale) This is a little token of her appreciation for ALL of you who made this ALL possible for her to continue to do what she LOVES! Also to celebrate our 2 year anniversary! Yep, she came out w/her first set of stamps 2 years ago......WOW! This offer starts tomorrow, Thurs Nov 15th @ 8am PST & will end on Sunday, Nov 18th @ midnight! ONE per customer please! You do NOT have to add it to your cart or use a special code, we will just include it w/your order! Your next stop is Miss Cassandra, don't forget to leave a comment here before you go so that you can have a better chance of winning a prize from Miss Emma!! Have fun and Good Luck!! So beautiful, love everything about this card! I just love your card! It's beautiful! What a beautiful card. Thanks for sharing it. This is fantastic! I super duper love it! I'd love to know what or who those svg files are designed by in the Sil store. I'd like to get them...great job! This is beautiful Amy!!! I LOVE that SVG file - have used it already too!!! Beautiful card--makes me wish I had a Silhouette! AMy ~ Oh my this card is simply AMAZING!! I LOVE the cut you chose to put on the vintage die ~ that die is PERFECT for it!!! Okay the papers ~ LOVE them too! Wel you know I noticed that GORGEOUS color ribbon and how PERFECT it was too! I can NOT wait to see what you are up too with your sneak!! Eeek!! AWESOME and AMAZING job like always!!! Amy, your card is gorgeous! Everything is just perfect! Love, love, love the label font! Great idea for using it on a Christmas card! This is a beautiful card. Reason for the season. Great card. Love the red ribbon and button. The label die was perfect. The background paper looks great, too. I'm living that label font stamp set. Very retro, imho. I remember using the label maker that made the letters like that! 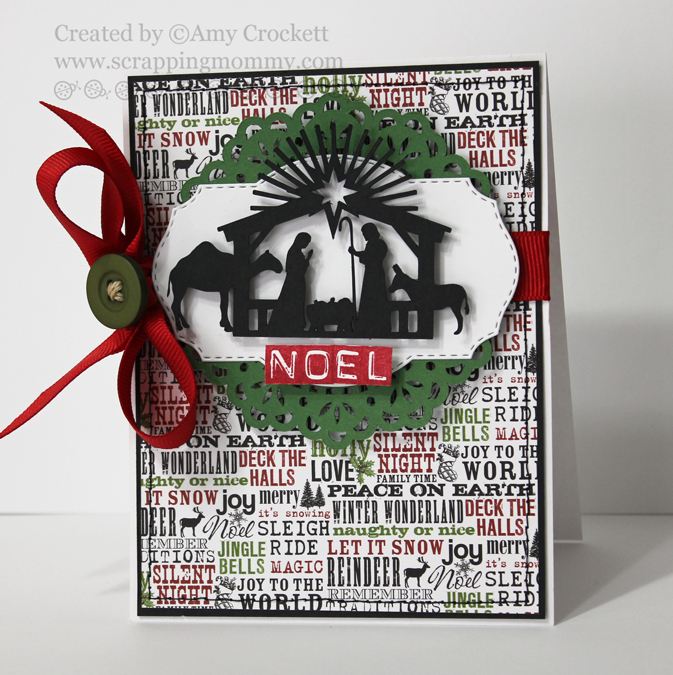 Amy, love your design, gives "reason for the season" so much meaning. Thanks for sharing. Love the way you used the stamps in both of your creations. I love the die background of the nativity scene. Your card is beautiful! I love the doily and nativity cuts...perfect. Great sneak peed for December. what a gorgeous card-love this release! WOW. Love how you used the new products. very pretty card, love the details in the cut! What a gorgeous card Amy! Love the papers and the cut and the awesome stamps and die!! BTW~ your sneak looks AWESOME!! Wow, what a stunning card! I love the nativity and can't believe that cut out that perfect! I NEED me a Cameo!! lol I love that you put the navtivity in the vintage label, looks so amazing, so love the papers you used, the doily and the "noel" stamped letters-this card is a perfect Christmas card in my mind! Beautiful card! I can't wait to see the whole project in December! Beautiful card, awesome cuts used to complete the look. Thank you for sharing. That is just a beautiful card! Thank you so much for sharing! How beautiful card. This nativity are spectacular. I love Christmas. I like both projects. Thanks for share. Your card is gorgeous. I am loving this new release!! Beautiful card Amy!! I love everything about it! It's perfect! Beautiful job. 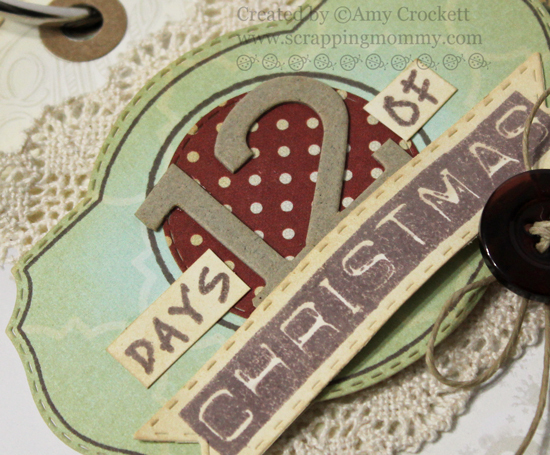 Can't wait to see what's the 12 days of Christmas project! The xmas card is beautifyl! Beautiful Christmas Card! Love all the layers. Wonderful Job. Amy, this is beautiful! You are getting great use out of your Cameo! Those cuts are so intricate. Gorgeous card! Beautiful card. Really loving that die & stamp set! Thank you for sharing your BEAUTIFUL card! Love all of the layers....it turned out AMAZING! Have a GREAT day! Wow, beautiful, beautiful card, thanks for sharing!!! I really like it. FAbulous card--I really like the NOEL in this font. Wonderful Christmas card! Love the manger scene superimposed over the lable die and all of the extras you put on the card. Amy, this was an awesome card. I love the label stamps. Can't wait to receive mine in the mail! Beautiful card, Amy! 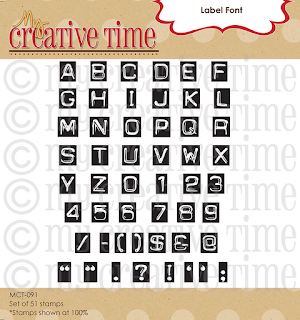 I can't wait to receive the Label Font Stamps, myself. What a pretty, elegant card!!! :) Which doily is that (is it from the Silhouette Online Store?)? I love the card and especially the paper you chose to make it with. Beautiful! What a very beautiful card very nice! This is beautiful..love the nativity scene, and love how Emma's die fits so nicely in your doily cut!! I make these little mini albums from the empty toilet paper tube and you have given me so great ideas on how to decorate them. 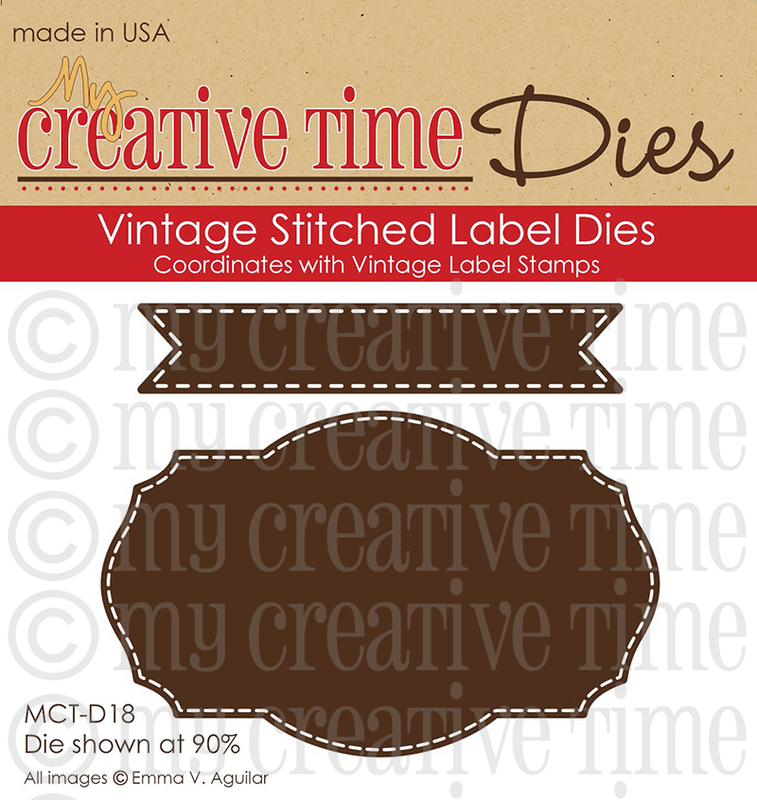 I love how Emmas dies and stamps can be used with other products. thanks for sharing. Love your beautiful nativity card!! Love how your card came together!! Just gorgeous! Beautiful Amy! I love the cuts from your Cameo! I want one so bad!!! Love the paper you used and how it all came together! Great job! hugs! Wow . . . absolutely beautiful. Those vintage label does are just gorgeous and I love what you did with them. TFS! Great card...love how you used the Vintage Die! Very beautiful card. Thanks for sharing. Lovely card, TFS and for the chance to win. Love this beautiful card! Great layering! WOW! Miss AMY, this is BEAUTIFUL!!! LOVE LOVE LOVE!!! Love your nativity card and I also love siouettes.